Hallux limitus, hallux rigidus and arthritis of the great toe joint are all terms we use to describe pain and limited range of motion from bone spur formation and osteoarthritic changes of the big toe. All foot and ankle surgeons see this common problem, which has grades from level 0 to level 4.1 A level 0 joint has normal radiographic results and no pain while level 1 is a joint with mild bone spur formation but no joint narrowing. On the other spectrum are level 4 joints that show complete joint obliteration. These three categories of joints are fairly easy to treat. A level 0 joint often does not need surgery and we mainly deal with it through shoe modifications and possible orthotic use to support the arch, and reduce pressure and stress through the first metatarsophalangeal joint (MPJ). For level 1 hallux limitus, common care is through shoe modification and orthotics with possible spur removal and/or a decompression osteotomy of the joint to realign the metatarsal head and reduce jamming and pressure in the joint. At level 4, the most common treatment is a fusion of the great toe joint with a significant level total joint replacement. I personally do not perform total joint replacements on patients with hallux rigidus and prefer a first MPJ fusion as there is often no joint motion at the time of the initial visit and reduction of pain is the main concern. The most common presenting levels and often the most difficult levels to treat are level 2 and level 3 hallux limitus cases. Level 2 cases have bone spur formation and joint space reduction whereas patients with level 3 hallux limitus have greater spur formation, less joint space and some level of joint obliteration. In the current scenario, I offer a common treatment algorithm for patients with level 2 and level 3 hallux limitus. If conservative shoe modification and orthotics do not help, and I deem that surgery is necessary, I often suggest a cheilectomy with possible decompression osteotomy of the metatarsal head. I make this decision at the time of surgery after spur removal. If the joint motion is significantly improved with spur removal and cheilectomy, I do not perform an osteotomy. If there is still significant joint space narrowing and jamming or limited motion, I perform a decompression osteotomy with shortening and plantarflexion of the metatarsal head to allow improved motion. I have had good results with early level 2 hallux limitus. However, I am surprised by the level of articular damage I encounter from time to time and it leaves me with limited options. Furthermore, in level 3 hallux limitus cases, the amount of articular damage is accentuated, resulting in further difficulty with spur removal and osteotomy treatment options as the articular surface is still poor in quality. The current implants on the market have also left me with no truly great options. I have used a hemi-implant but find this non-anatomic and limited in benefit. In addition, I have found the implant compresses into the phalanx base over time as the metal is harder than the bone. I have also used a resurfacing metal option for the metatarsal head. I like the Morris taper of this implant but have found that it can cause problems with the sesamoids and can be difficult to match up to the metatarsal head. I have added a new option to my arsenal for level 2 and level 3 hallux limitus that has recently received the approval of the Food and Drug Administration (FDA). The Cartiva Synthetic Cartilage Implant (Cartiva) is made out of a gel-like material that fits to the head of the first metatarsal through a 1 cm drill hole and expands to sit in the metatarsal head region. One leaves the gel material 2 to 3 mm proud on the metatarsal head and the implant expands over the edges of the drill hole, acting as a cap-like space in the joint. The surgeon would place the implant slightly dorsal of center in the metatarsal head region. The Cartiva implant not only improves range of motion but also decreases the arthritic bone on bone contact of the articular surface, resulting in decreased pain. preferable to avoid scar formation. Furthermore, the implant only requires a 1 cm drill hole in the central portion of the metatarsal head and does not destroy the joint surface like a metal implant, which allows very easy conversion to a fusion procedure if the procedure does not work well. Finally, the implant material seems to mimic the quality and density of bone. Therefore, it does not cause bone absorption or damage like a metal implant. My new algorithm for level 2 and 3 hallux limitus is to educate the patient on the options of surgery including cheilectomy, decompression osteotomy and the Cartiva implant option. I alert the patient that I will decide on the option at the time of surgery. I let him or her know that if I decide to perform a cheilectomy, I will subsequently assess if a decompression or implant is necessary. I treat early level 2 cases with cheilectomy. In rare cases of level 2 hallux limitus, I will use an implant and perform an osteotomy. Middle to late level 2 cases may require cheilectomy with either an implant or osteotomy. In my experience, early level 3 treatment is often like late level 2 treatment but I tend to perform more implant procedures than osteotomy procedures. Late level 3 cases often require cheilectomy with implant placement. In such cases, I discuss a potential future need for fusion of the joint. For men and some women, I suggest a fusion option if range of motion of the joint is not important for activities of daily living. I believe this new implant has added a great option in the treatment of level 2 and level 3 hallux limitus. The Cartiva implant allows a more rapid recovery with limited downtime and preservation of the joint for potentially easy fusion options if necessary in the future. 1. Coughlin MJ, Shurnas PJ. 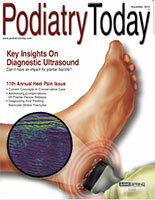 Soft-tissue arthroplasty for hallux rigidus. Foot Ankle Int. 2003; 24(9):661–72.